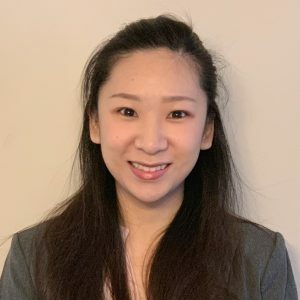 Emily (Li) Cheng is a Ph.D. candidate at Western Michigan University, studying public policy and administration. She received her master’s degree in public administration from Binghamton University (SUNY). She is also a member of Pi Alpha Alpha Honor Society. Her research interests include educational performance evaluation, social equity, and comparative public policy and administration. During the period of school, she led a project to analyze the gap between academic training and job requirements for FAA Center of Excellence for Technical Training and Human Performance (TTHP); managed a state-funded college mentoring program which was launched for academically and economically disadvantaged students; and prepared an annual accreditation data report for NASPAA, a global accreditor of master’s degree programs in public policy, public affairs, public administration, and public & nonprofit management. Her excellent skills in statistical analysis, database management, and program evaluation contribute to her success in these previous endeavors. She is working on her doctoral dissertation and planning to graduate in April 2019. Her dissertation focuses on transformative learning and curriculum internationalization of public service programs. Ms. Cheng is now working at IEL as a data researcher. She is enthusiastic about promoting excellence, diversity, and inclusion in post-secondary education.